Micro-Arc Wide-Range tilt sensors are designed for applications requiring the widest angular ranges. These sensors deliver the durable, high-precision solution you need for maximum performance over large angles. 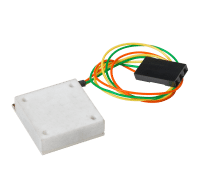 Micro-Arc sensors are single-axis and feature linear outputs, good vibration resistance, wide operating temperature ranges, non-magnetic construction, and superior cross-axis properties. To learn more about the principles of electrolytic tilt sensing and how to integrate tilt sensors into your application, see our Technical Information page.